Has EU Citizenship become a core part of our social identity? 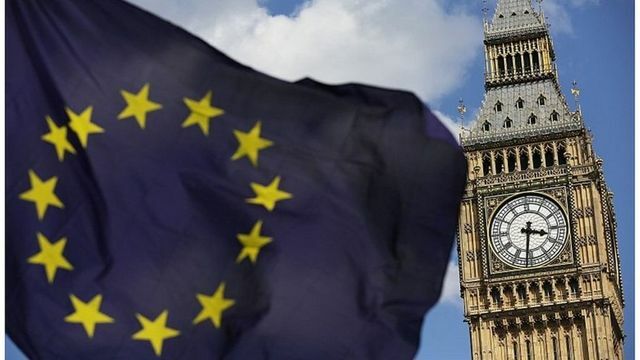 In an interview with the BBC today, the European Parliament's Chief Brexit Negotiator, Guy Verhofstadt, reiterated his commitment to seeking out solutions for the millions of UK citizens who want to retain their EU citizenship after Brexit. As we move forwards into the negotiations on Brexit, it's important to remember that the issue of identity is not just an emotional one but is also about human rights. For almost half a century, British citizenship has been synonymous with EU citizenship. Many British citizens have grown up with the right to freedom of movement and the idea of European citizenship as a core part of their life. This has allowed them to make life choices, choose courses of education, career paths and family arrangements based on the understanding that the can live and work where they like in Europe. Whether or not they are now in the UK, people who have built a life based on freedom of movement do not necessarily want to stop moving. If removal of EU citizenship for British citizens is an automatic consequence of Brexit, there will be many people who will be profoundly affected by the loss of their European identity as well as the rights it accords them. For those individuals, it could be argued that the removal of EU citizenship would interfere with their right to private life under Article 8 ECHR. British citizenship law allows for dual nationality. Many British citizens will be able to acquire the nationality of another EU Member State thereby maintaining their EU citizenship and the rights that go with it alongside British citizenship. Citizenship of other Member States may be acquired without taking residence in the Member State by various routes such as through the nationality of parents or grand-parents (e.g. Italy, Germany and Ireland), the nationality of a spouse (e.g. France) or through significant financial investment in the Member State (e.g. Cyprus). In addition, those born in the Island of Ireland including Northern Ireland before 2005 (and many others in Northern Ireland) are automatically entitled to dual British and Irish citizenship. There have been reports of a significant increase in applications for citizenship of several EU Member States including Ireland, Germany, Italy, Hungary, Poland and Sweden. Whatever the potential impact of Brexit may be on these groups of people, they will still be able to exercise their EU citizenship rights if they so wish. This means that there will be some British citizens who lose their EU citizenship and others who do not. Arguably, the ability of a British citizen to retain EU citizenship following Brexit will depend precisely on this type of ground without reference to the importance of EU citizenship to the social identity of the individual concerned. A decision on whether an individual British citizen should have a route to retaining their EU citizenship and its associated rights should not be wholly dependent on prohibited grounds for discrimination. The Preamble to the EU Charter on Fundamental Rights and Freedoms states: “Conscious of its spiritual and moral heritage, the Union is founded on the indivisible, universal values of human dignity, freedom, equality and solidarity; it is based on the principles of democracy and the rule of law. It places the individual at the heart of its activities, by establishing the citizenship of the Union and by creating an area of freedom, security and justice.” As part of the negotiations, both the UK and the rest of the EU need to be creative about finding solutions that put those principles into practice - Guy Verhofstadt's commitment to this is a welcome indication that the European Parliament at least will keep individual rights at the heart of negotiations about Brexit. "So emotion is now coming up and all those voters will want to remain in the European Union and have the feeling that they are lost, that nobody is defending them anymore, that they are losing a part of that identity - and it's for that reason that I'm trying to convince the European Union, not only the European Parliament, to take on board that feeling of UK citizens. "I think we need to examine what type of special arrangement we can make for those individual citizens who want to continue their relationship with the EU, and the opposite - it's for both sides."